How Much Is a Reverse Osmosis System? Reverse osmosis water filtration systems are a great way to filter your water at home to make sure it’s contaminant-free, but how much should you pay for a reverse osmosis (RO) system? Good morning, I’m your host, Hercules, and in-house water guru here at Alkaline Water Machine Source. Today, I’m sharing with you my guide on buying a reverse osmosis system for your home. There are several considerations you should make before buying your new RO filtration system. As some of you may know, and most of you probably don’t know, I’m a huge fan of alkaline ionized water. One of the downfalls of reverse osmosis systems is they can make your drinking water more acidic. 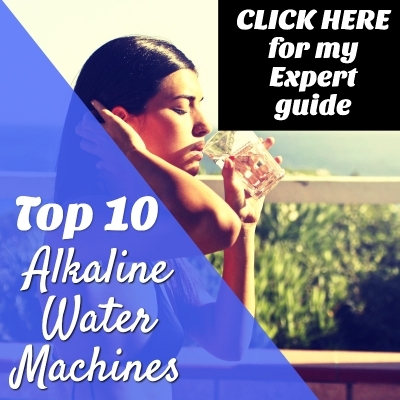 In my guide below, I’ll show you how to make your reverse osmosis water alkaline without buying any additional parts. Please feel free to use the table of contents below to jump ahead to any section you want. Let’s first look at pre-sale considerations. What parts should come with your new system? How much should you pay for an RO system? There are a few considerations to make before choosing which RO system is best for your home. Considering RO systems can lower the pH of your water to between 5.0 and 7.0, it’s a good idea to look at RO systems that have built-in re-mineralization cartridges. The reason you need to re-mineralize RO water is that the filters strip everything from the water. In my opinion, RO systems do almost too good of a job of filtering water since small amounts of healthy alkalizing minerals in our water is a good thing. If you have a minute, take the time to skim through my list of 25 alkaline water benefits by clicking here to see how people all over the world are healing by drinking alkaline ionized water. Drinking water that is slightly acidic from an RO system every day is not the direction you want to be going in. Sure, you will be drinking water that is free of contaminants and other harmful chemicals, but the water itself isn’t alive. Alkaline ionized water is loaded with antioxidants. For this reason, I recommend RO systems with re-mineralization to avoid drinking acidic water around the clock. I’m not saying that acidic beverages are going to hurt you. It’s only when you’re drinking nothing but acidic beverages or mostly acidic beverages that it can be a bad thing for your health. When you’re shopping for reverse osmosis systems, it’s important to make sure that they come with everything you need to install them. Also, keep in mind that most of you will install your new reverse osmosis system under the sink. Check to make sure that your new system can fit below your sink. Anyone can do a basic installation of a reverse osmosis system. Most people have them up and running in less than an hour. If you need to do a special installation, a handy friend or member of the family should have no problem getting the job done. Now, let’s go over the cost of a new RO system. The average cost of a reliable RO filtration system is between $150 – $300. In this price range, you can purchase a system from a trusted brand with all the necessary parts and a re-mineralization cartridge. My favorites reverse osmosis system that is currently selling for under $230 is the APEC Top Tier system that comes with pH boost. You can take a look at the system and see the current lowest price for the unit below. APEC is a company you can trust. Their RO systems are designed, engineered, and assembled in the U.S. They also use food-grade calcium in their re-mineralization filters to ensure that you’re getting a crisp, superior tasting water. This system has 88% positive reviews and only 2% negative. Users also reported that the system doesn’t make the pH too high, which can be just as dangerous as too low of a pH. After APEC, my next choice is iSpring. iSpring manufactures a similar RO water system to the one above for less money. It’s currently selling for under $188 new. If you are concerned about how the faucet will look in your kitchen, the iSpring system comes with a European-designed brushed nickel tap. 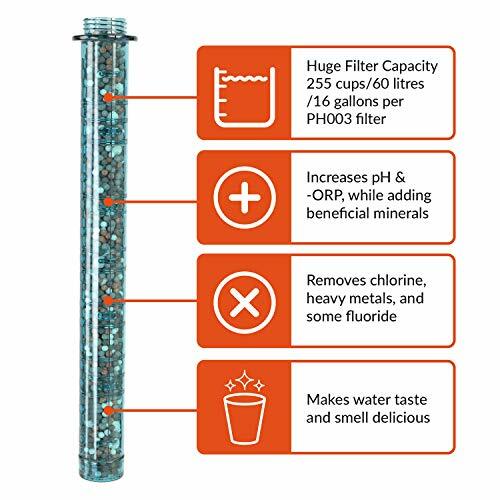 This filtration system currently has over 1,300 reviews, and of those reviews, 87% are 5-star while just 3% are one-star. One important note to consider is the iSpring filter includes more minerals than calcium only like in the APEC system. The iSpring filter adds calcium, magnesium, and several other alkalizing minerals. Another wonderful part of owning a quality RO system is that you will save money after the initial investment, significantly cut down on plastic waste, and your entire family will feel better. If you are low on space, there is an option for you. The Brondell Circle Water RO system was specially designed for people who don’t have much room to spare under the sink but want to drink tasty filtered water throughout the day. One important note is this system does not include pH boost like the units above, but I will show you a way to boost the pH using a different method below. The Brondell RO system is the most expensive of the three I’ve mentioned so far at just over $300 currently. For this reason, it is my third pick. Also, it doesn’t include the re-mineralization filter or have as many reviews as my top two picks. If you have enough room for the APEC or the iSpring systems, those are your best bets. If you chose to purchase the Brondell Circle system or any other system that does not include pH boost or a re-mineralization filter, there is one way I can suggest to add minerals back to your water. When you take this route, you won’t need to install any extra parts, and you cut back on the plastic waste you create. There are several alkaline water bottles available with cartridges inside the bottle that add minerals back into your RO water to raise the pH. My only problem with these bottles is the mixed reviews. Some people love them while others have noted that they sweat and don’t hold temperature well. It’s up to you to decide if those problems are dealbreakers or they won’t put a damper on your water experience. Later, I’ll show you what I prefer. Below are photos and the current lowest prices for the DYLN and pH Revive alkaline water filter bottles. While I do think these are a solid option, they certainly aren’t my first choice for boosting the alkalinity in my water. There are better water bottles out there that I’ll mention below. Stick with the iSpring or APEC systems and get a better water bottle. Now, let’s look at one of the most important aspects of buying a new RO system. No one wants to pay crazy prices for replacement filters or worry about replacing filters too often. 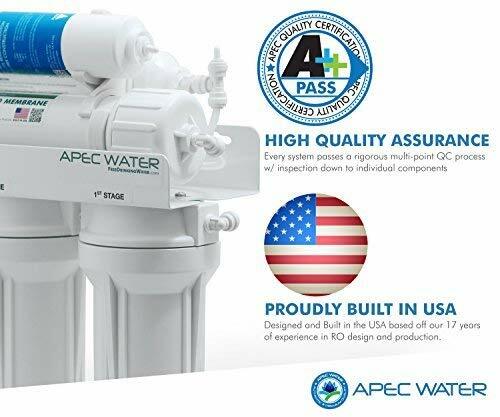 The APEC system is a 6-stage filtration system. You replace four of the six filters every 6 – 12 months while the other 2 filters last you 2 – 4 years. The current price for a complete set of filters is under $99, which isn’t too bad since it comes with the two filters that last 2 – 4 years. If you add up all the money you pay for bottled water every year, I bet it adds up to a lot more than $99. As for the iSpring system, it is the clear winner in the replacement filter cost category. The current price for a full year replacement filter set in the iSpring system is just a tick over $62. The Brondell Circle RO replacement filter set is currently selling for under $60. Both the APEC and iSpring RO systems will give you a 24/7 supply of deliciously healthy water that your whole family will enjoy. You’ll also get peace of mind knowing that the water going into you and your loved ones’ bodies is superior quality. One of the things I like most about installing an RO system in the home with pH boost is the ability to cut back on bottled water and avoiding drinking out of plastic bottles altogether. Even if the plastic is BPA-free, there are other harmful chemicals that could be lurking in the plastic. Plastic waste wreaks havoc on the aquatic life that we later eat. If we all stopped drinking out of disposable plastic water bottles and buying commercially bottled water, we’d all save a ton of money while creating much less waste. My favorite cup is the YETI Rambler. 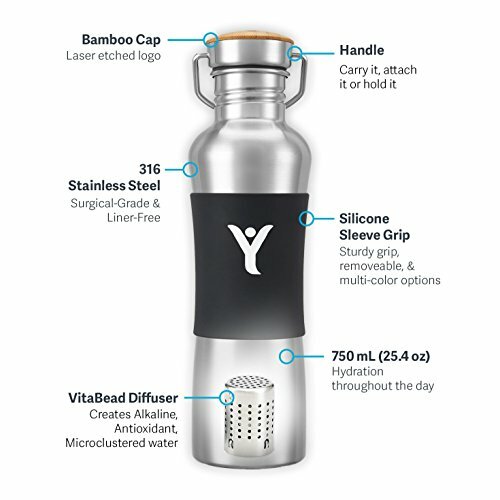 You can use the YETI Rambler for hot and cold drinks. There have been reports written by people who said it kept ice for over 24 hours! It will also keep your coffee hot without burning your hand. Most people with YETI cups fall in love with them and bring them everywhere with them. You can fill yours up with the reverse osmosis system in your home and have cold delicious water to sip on throughout the day. If you made it this far, you should know exactly how much it costs to install a quality RO system in your home and replace the filters. By investing in one of the units I recommend, you save money and boost your family’s health. You can even go a step further by getting yourself a cup that will instantly become your new best friend. And last but not least, consider boosting the health benefits of your RO water with a re-mineralization filter. Cheers and best of luck with your new RO system! If there is anything you think I missed, please let me know in the comments section below.